The story of the birth of Jesus and those three wise men and their gifts is known to all. 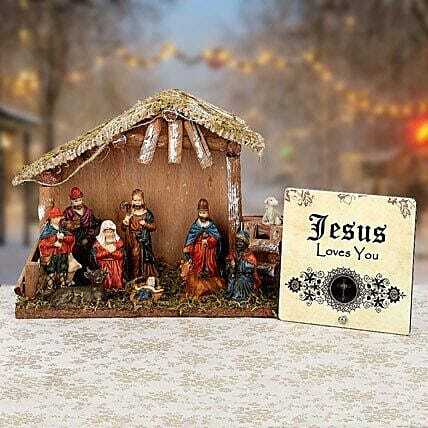 Here is a small hut designed replicating that holy night. Along with that, there is a square table top saying “Jesus Loves You”. Get this gift set for your loved ones and wish them on this upcoming Christmas. Handle with care. Wipe clean with a soft cloth.